As Republican lawmakers attempt to determine a plan for immigration reform that jibes with both conservatives and members of the Latino community, Donald Trump, the real estate magnate and reality television host, has another message for the GOP: Immigration reform, he argues, basically amounts to a "suicide mission" for the party. 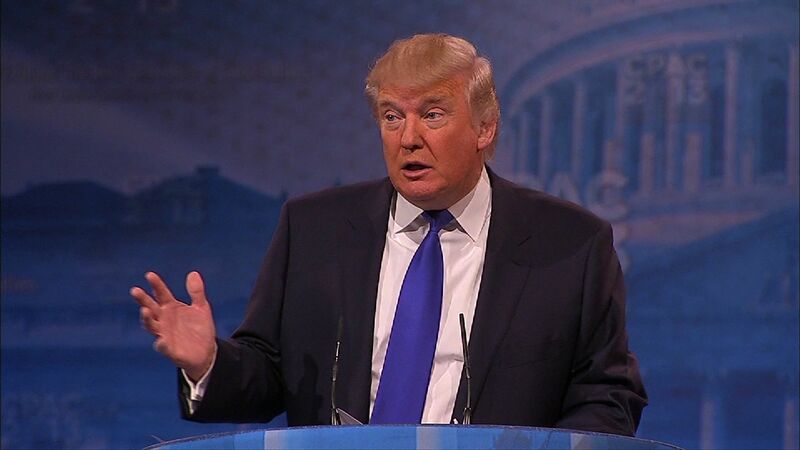 Trump, speaking at the Conservative Political Action Conference (CPAC) in Oxon Hill, Md., argued this morning that the "11 million illegals, even if given the right to vote - you know you're going to have to do what's right - but the fact is 11 million people will be voting Democrat." The Republican, who during the early days of the 2012 presidential campaign flirted with a bid for the nomination and spent weeks propagating the thoroughly debunked rumor that President Obama was not born in America, said Republicans "have to be very, very careful" on the issue of immigration. "Because you could say that to a certain extent, the odds aren't looking so great right now for Republicans. That you're on a suicide mission. You're just not going to get those votes," he said. He seemed to suggest the U.S. should allow more Europeans into the country to counterbalance the influence of Latino voters. "Now I say to myself, 'Why aren't we letting people in from Europe?' I have many friends, many, many friends -- and nobody wants to talk this, nobody wants to say it -- many friends form Europe," he said. Trump expressed particular concern that his European friends, whom he described as "tremendous" and "hard-working people," "people whose sons went to Harvard," were not gaining easy citizenship to the U.S.
"Top in their class, went to the Wharton School of Finance, great, great students, they happen to be a citizen of a foreign country, they learn they take all of our knowledge and they can't work in this country," he said. "We throw them out." A fierce critic of the media, Trump also argued that while Mr. Obama is granted "unprecedented media protection," entitlement reform is going to be a non-starter. "As Republicans, if you think you're going to change very substantially for the worse Medicare, Medicaid and Social Security in any substantial way, and at the same time you think you're going to win elections, it just really is not going to happen," he said. The Republican budget proposal currently under negotiation would overhaul the nation's Medicare system to a voucher-like program, a decision that is rebuked by Democrats and controversial on both sides of the aisle. The author of the GOP budget, Rep. Paul Ryan, R-Wis., however, would probably not say the plan would change Medicare "very substantially for the worse," as Trump seemed to suggest.